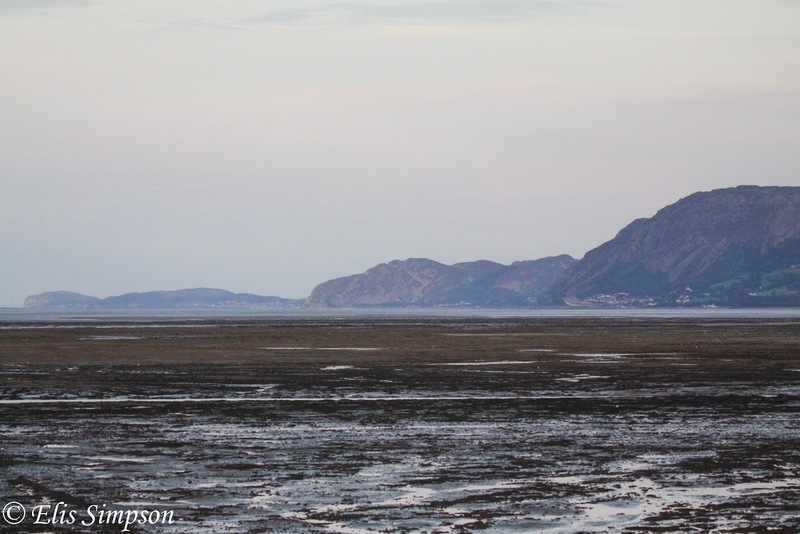 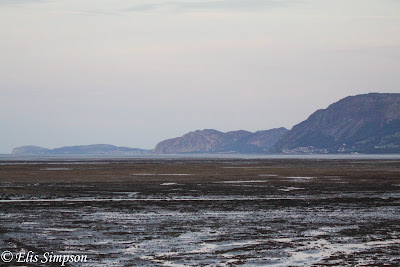 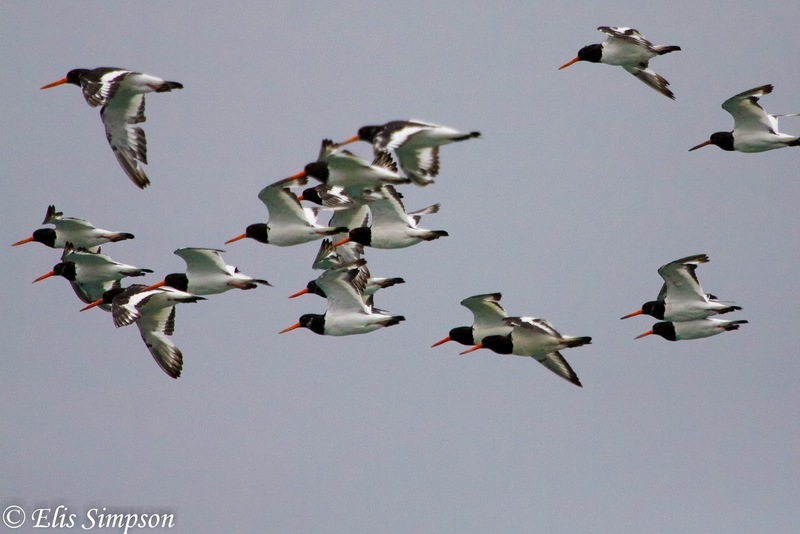 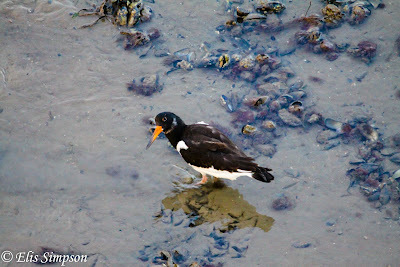 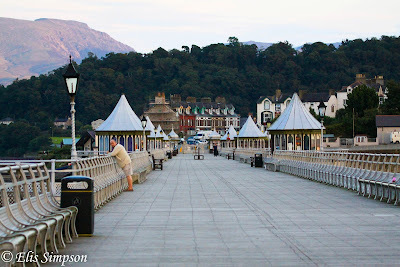 The mud flats in the Menai Straits produce an avian spectacle with thousands of Eurasian Oystercatchers gathering to feed on the acres of mud and as the tide rises they are forced off and huge numbers fly west along the Menai Straits. The best place to observe this from is the end of the Bangor pier, wave after wave of these impressive and attractive waders fly past. Interestingly, unlike the Redshanks and Eurasian Curlews they seldom fly over the pier, preferring instead to funnel past the end, this concentration of them helps if you are of a mind to count them. 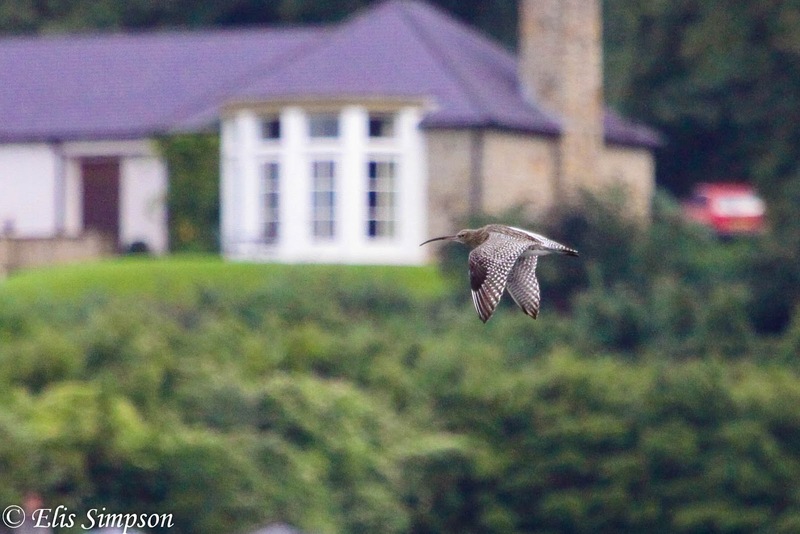 Eurasian Curlew; wouldn't mind living in the house in the background! 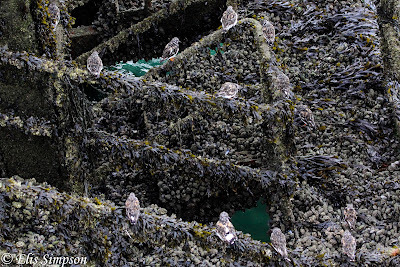 You get an unusal angle on the birds from the pier. We were there for only about an hour at most, and in that time around 2000 birds flew past us, and there were still many more out on the distant flats wheeling and circling. 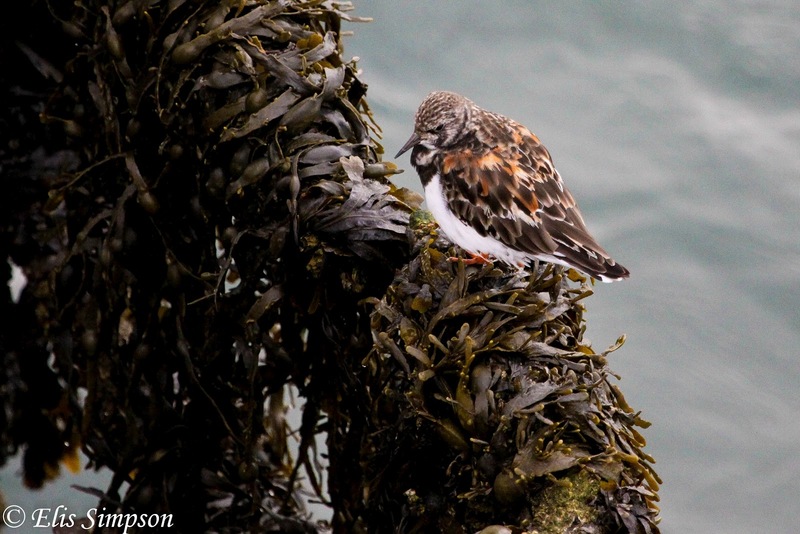 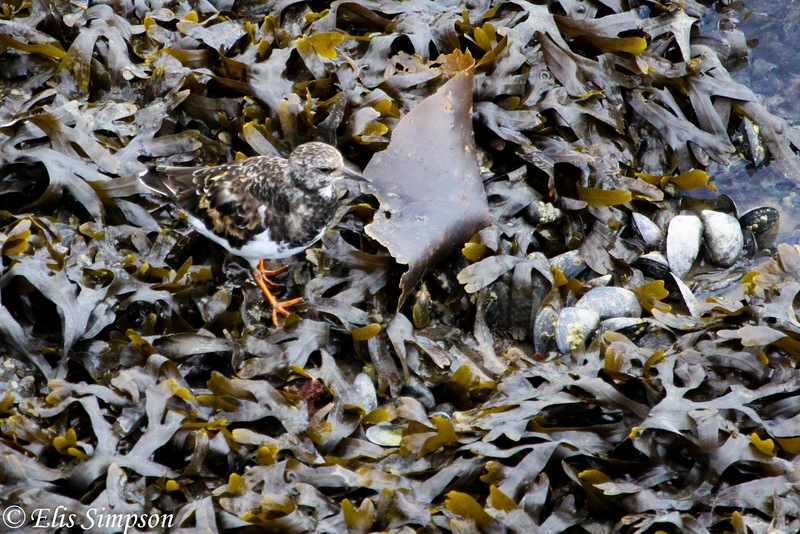 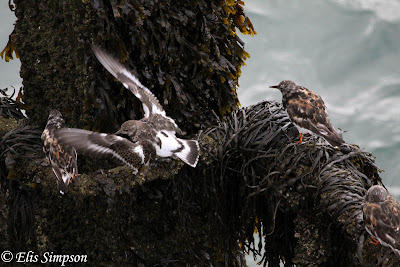 The small population of Ruddy Turnstones, that feed among the mussel beds, gather on a stair gantry at the end of the pier to roost as the tide rises, where they preen and squabble among themselves.